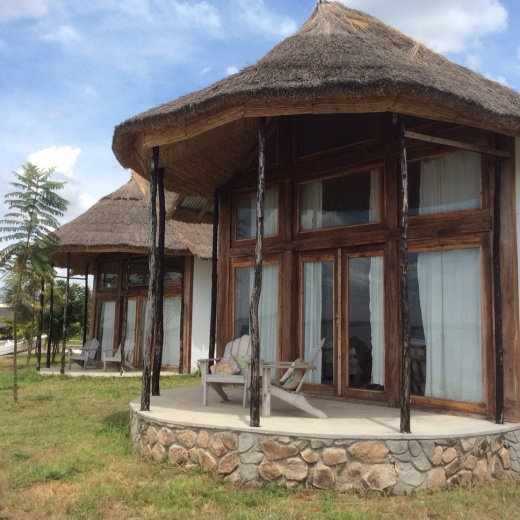 Papa’s is a one of a kind getaway in the Mwanza region, located right on the shores of the beautiful Lake Victoria. It is located about 30 minutes away from Mwanza's city centre and 45-60 minutes away from Serengeti’s Ndabaka gate. Our British colonial-style bungalows featuring a king-sized bed, a loft with twin beds, and unique East African furniture, can accommodate couples or families. The porch views of Lake Victoria and white sandy beaches are perfect for relaxation or recreation. The best part about Papa's is that all proceeds benefit JBFC, an NGO dedicated to alleviating extreme rural poverty in Tanzania through its work with children.